Citing the fact that nearly 22 million American workers are exposed to hazardous noise on a daily basis and that occupational hearing loss continues to plague industry, the National Hearing Conservation Association (NHCA) has made a request to the Occupational Safety and Health Administration (OSHA) to reduce the permissible exposure limit (PEL) for noise exposures. NHCA has requested that OSHA lower the PEL in the Occupation Noise Standard 29 CFR 1910.95 from 90 dBA to 85 dBA, and the Action Level from 85 to 80 dBA. Citing recent research by NIOSH and other organizations, American workers face a considerable risk of NIHL associated with long-term work at the current PEL of 90 dBA and a 5 dB time/intensity exchange rate. NHCA has also requested that the time/intensity exchange rate be reduced from 5 to 3 dB. Quest Technologies, a 3M company, invites you to learn how to look beyond noise exposure to apply noise measurements as part of a hearing conservation solution. Upon completion of this webinar, attendees will have an increased understanding of how to apply four core components to answer the questions below and fine-tune their hearing conservation program. * How do I detect noise exposure? * How do I analyze noise measurements and select the correct hearing protection for my employees? * How do I empower my employees and make them part of the solution? 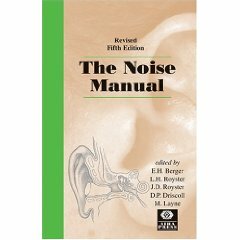 Are there tools and/or signage that will help me educate my workers on noise exposure? * How do I eliminate excessive noise completely? James has been professionally involved in hearing conservation and noise measurement for over 25 years. He is the past chair for the Council for Accreditation of Occupational Hearing Conservationists, is past president of the National Hearing Conservation Association and past chair of the American Industrial Hygiene Association Noise Committee. 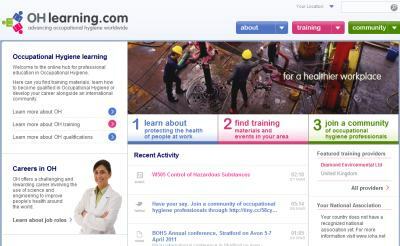 James has presented lectures at both NHCA and AIHA conferences and taught professional development courses for AIHA. He has degrees from the University of Wisconsin – Milwaukee and the Keller Graduate School of Management. 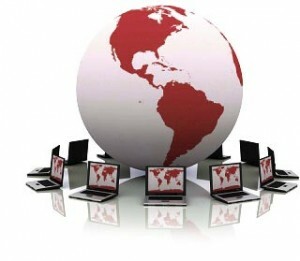 This presentation will begin on December 03, 2009 at 02:00 PM Eastern Standard Time. More information and to sign up can be found at OHSOnline HERE. For each tool, the database contains a Summary Sheet of results from both “loaded” and “unloaded” testing phases (click HERE for an example). 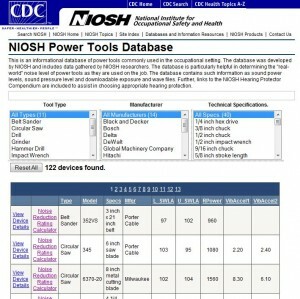 Additionally, the database provides recordings of the noise levels for each of the power tools. AIHA, in a letter to Jordan Barab of OSHA, strongly encouraged OSHA to consider reducing the 8-hour TWA for noise from 90 dBA to 85 dBA and a 3 decibel exchange rate. A copy of the letter, dated April 28, 2009, can be found HERE. The letter is very similar to one AIHA submitted to Edwin Foulke of OSHA in March of 2007. A copy of this letter can be found HERE. Is a reduction in the noise PEL on the horizon?